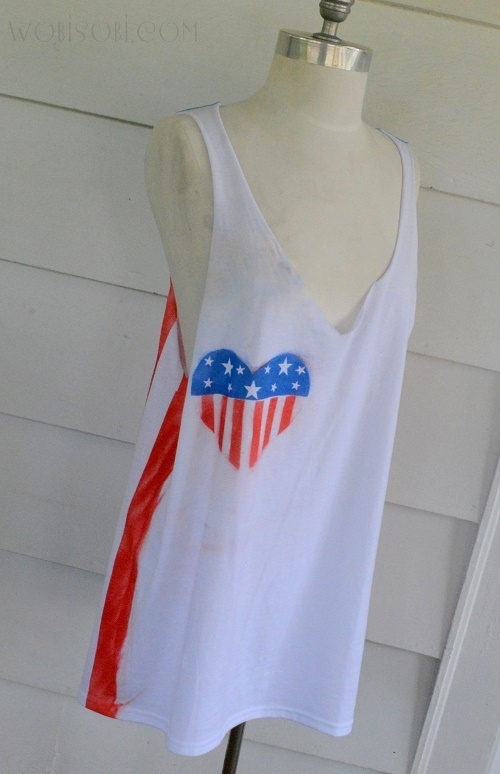 I thought this would be a fun project. 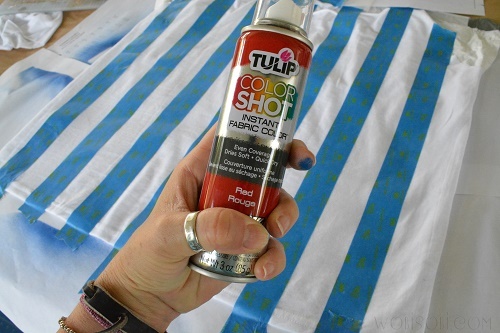 I really love these new Color Shot Fabric paints by Tulip. which is wonderful because my time is so limited. 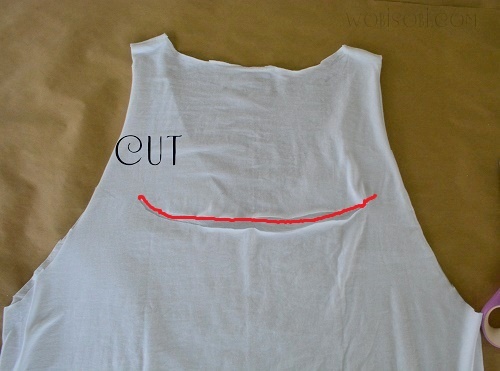 Cut the front of your shirt. 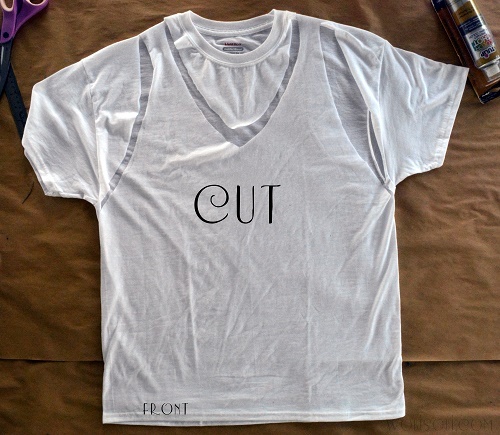 Cut a line about 7 inches across. I measured down about 7 inches from the top. 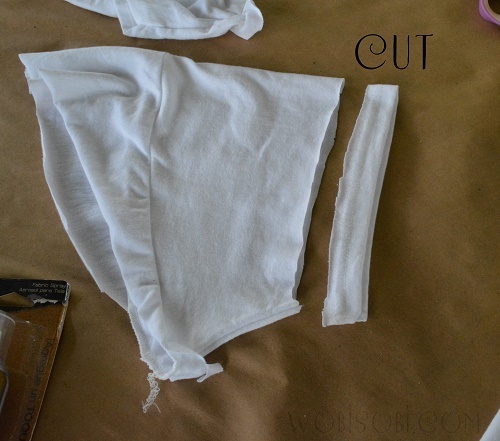 Cut off the hem part of one of your sleeves. You will use this to tie your shirt in the back. 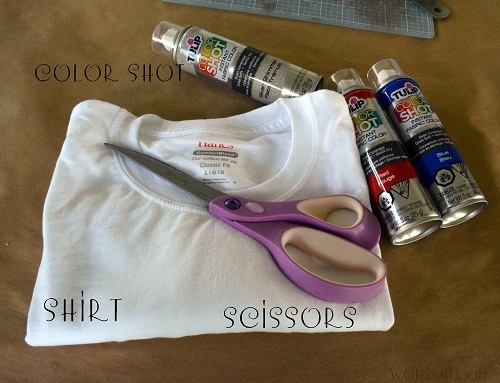 This is where you will tie your shirt AFTER you paint it. right above where you made your cut. 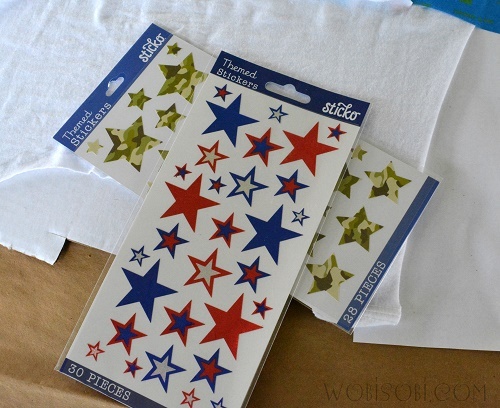 Take your stars and place them on the top-back of your shirt. 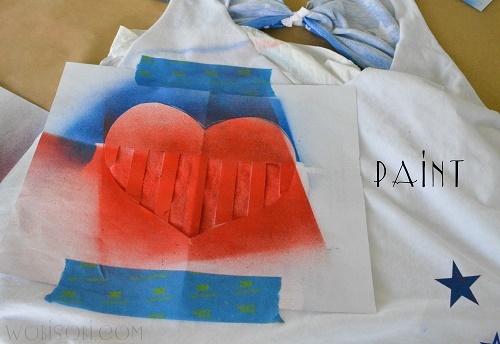 or pieces of paper, do this for over spray. 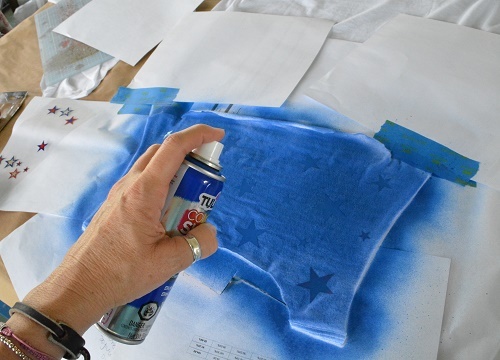 Spray a light coat wait 5 to 10 minutes then spray another coat. 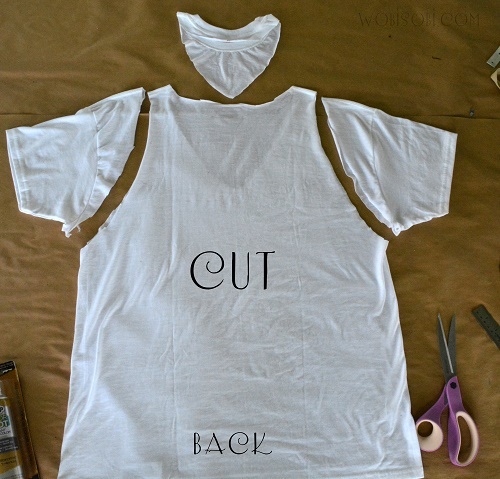 Tape off the bottom-back part of your shirt for the red stripes. 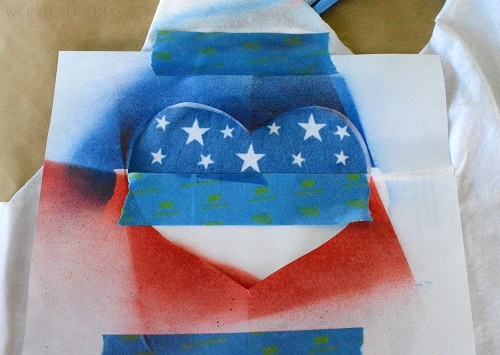 and place paper around the outside to protect from over spray. 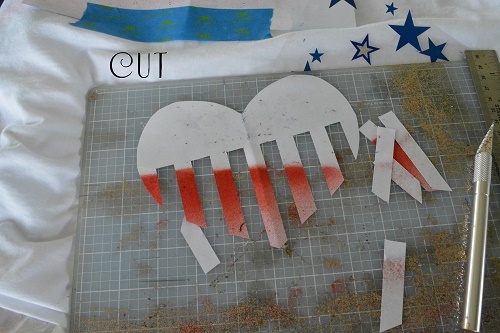 I cut out a heart out of a piece of paper. 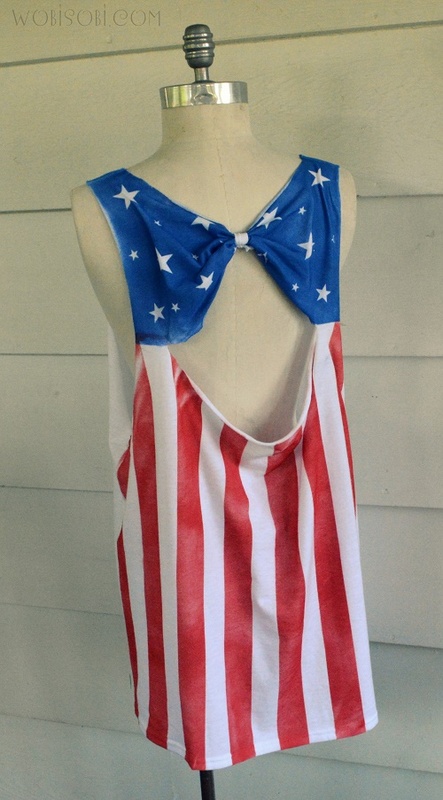 and placed some more stars on the top part. 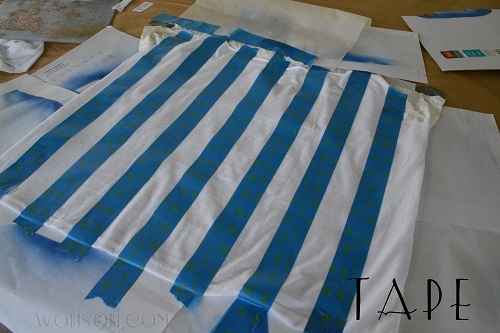 I sprayed that with blue Tulip Color Shot paint. 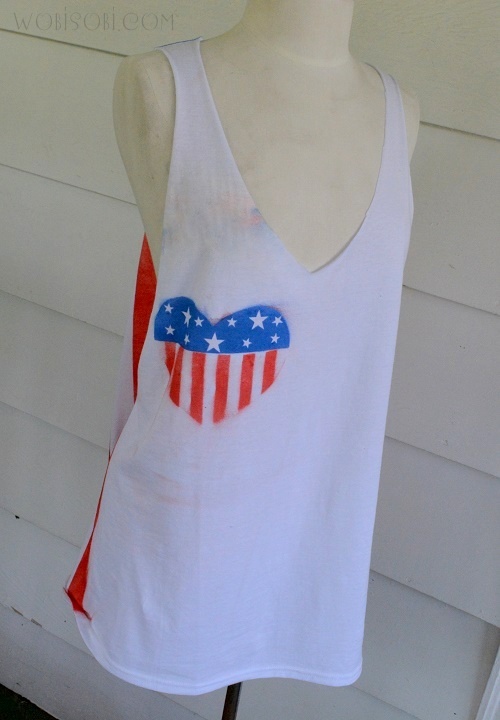 and cut out stripes on the bottom half. and sprayed the Tulip Color Shot in Red. 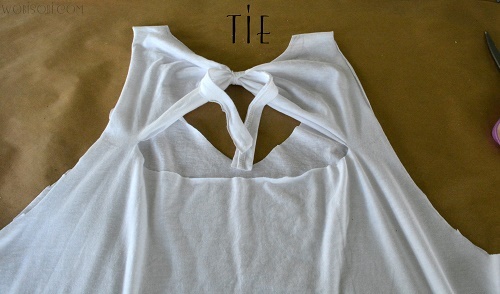 Tie up the back once your shirt is dry. I waited about one hour. 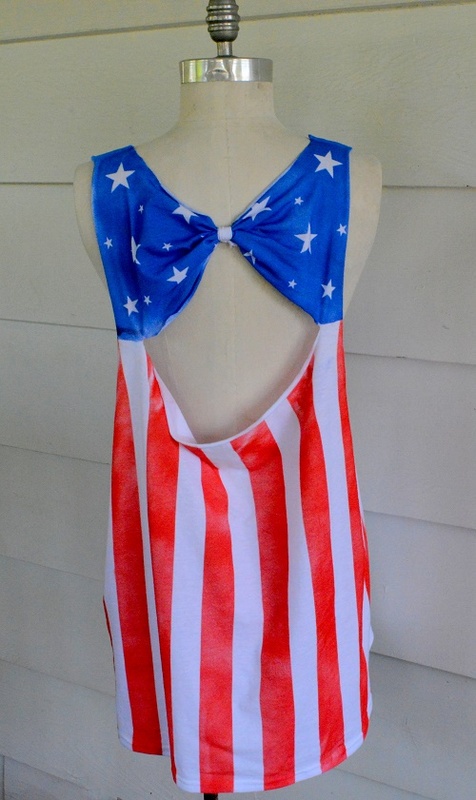 It makes a pretty Star bow. 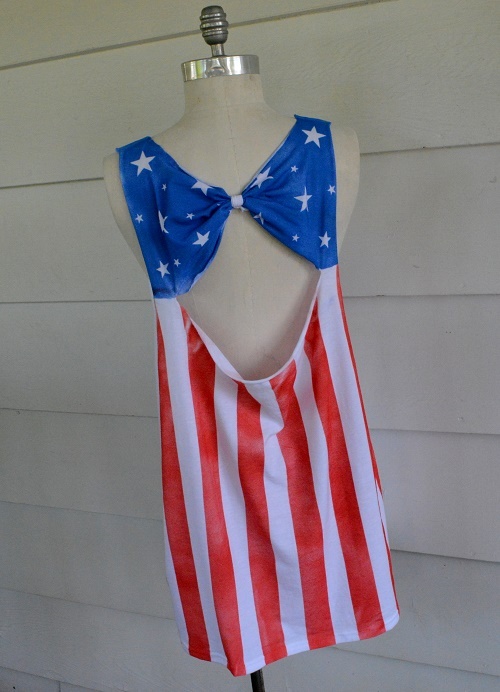 Wear to you next BB-Que or to the beach over your swim suit. Have a a Beautiful Sunday! 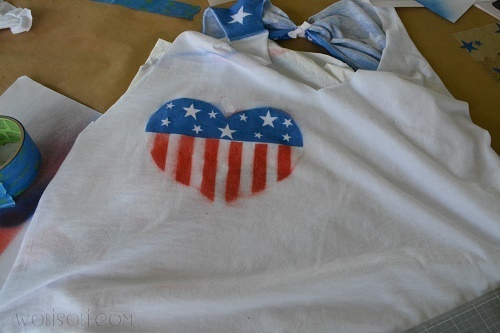 I love this - so doing this!! so is 3am too early to start this project? 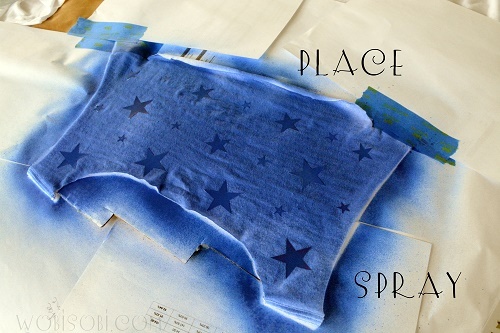 I used blue fabric paint and rolled it over the stars. 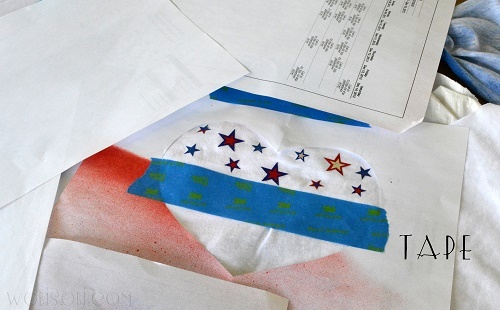 I cut the stars and heart flag with my cameo on contact paper. 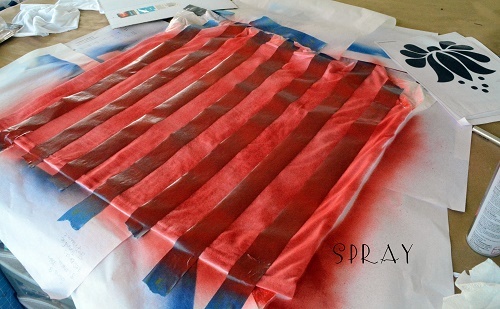 Sprayed the stripes with red spray paint. It was the only thing I had in stock!! Love it, thanks for another great tutorial!! You are such a creative person! And you hava a nice website. I just love it, believe me. To understand art, it is not necessary to be an expert in it or spend every spare minute in a museum. A person just needs to acknowledge someone else’s efforts and open own heart to the emotions being conveyed.